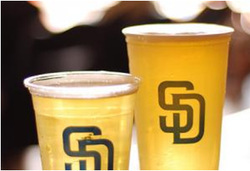 San Diego Brewery Tours has developed several great brewery relationships that guarantee you admission into beer tours, tastings and shopping! Lost Abby Brewery * Aztec Brewery Company * Oceanside Ale Works * Hess Brewery * Lighting Brewery * Barrel Republic and much more! Enjoy a "behind the scenes" tour at a local brewery where you will get to meet the brewmasters and explain to you and your group the whole meaning of what it means to "brew". 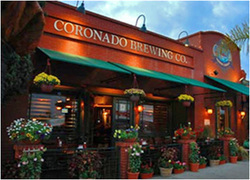 Youll learn the process of making beer, ingredients, storing and bottling of beer. 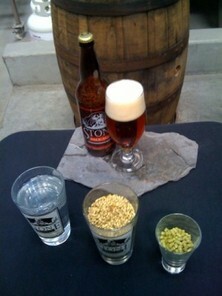 Most importantly, you will learn how to taste beer and distinguish it from color, smell, taste and more. Party Bus Transportation which can seat 40 passengers includes a complete sound system, warp around seating and entertainment system. Luxury Motor coach transportation which can seat up to 52 passengers includes restroom, entertainment system and more. 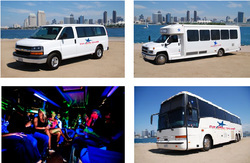 Luxury Mini coach transportation which can seat up to 29 passengers includes entertainment system. Luxury Van transportation which can seat up to 8 passengers includes entertainment system. You can drink on board our motor coaches but we do not allow any KEGS! Check out our group pricing, or email or call us to get an estimate for your special occasion. These private tours are available 7 days a week, and from any Southern California location. We specialize in birthdays, bachelor & bachelorette parties, fraternity & sorority functions, corporate events, and any group get together ! !